Well, what is a Freemason? 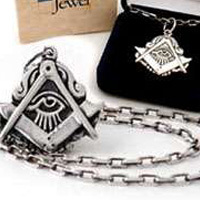 A Freemason is a member of the world wide "Fraternity of Freemasons", dedicated to giving good men the philosophical tools to make themselves better, using three basic tenets of: Brotherly Love, Relief, and Truth. "A system of morality veiled in allegory, illustrated by symbols"
Currently 37 guest(s) and 0 member(s) online.